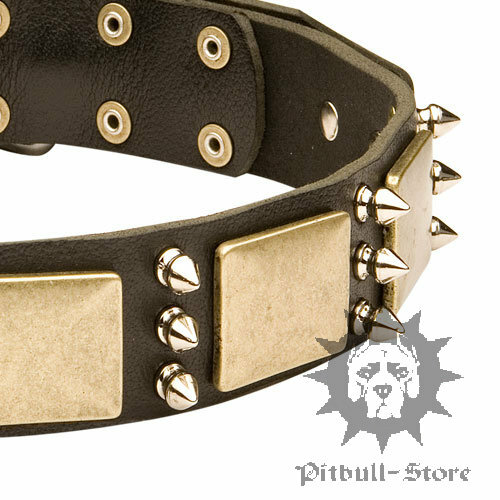 We are glad to present our ultimate dog collar with nickel spikes and brass plates for your Amstaff. 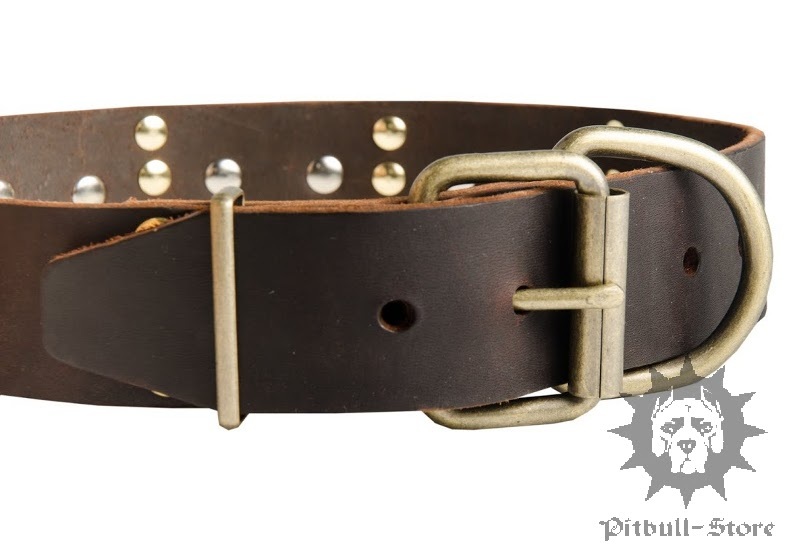 This spiked dog collar is made of a high class thick perfectly oiled genuine leather. We also made this Amstaff collar an absolutely safe dog item for your pet by smoothing and rounding leather edges. Just let your Amstaff look marvellous! This gorgeous ultimate dog collar is a hand-made product of top grade quality. 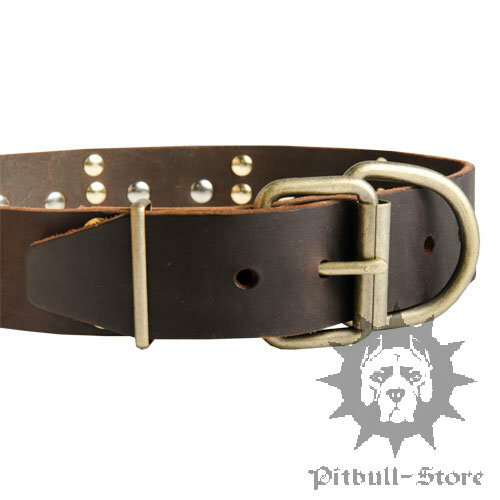 Our spiked dog collar is equipped with secure brass plated buckle and D-ring for reliable control over your Amstaff. 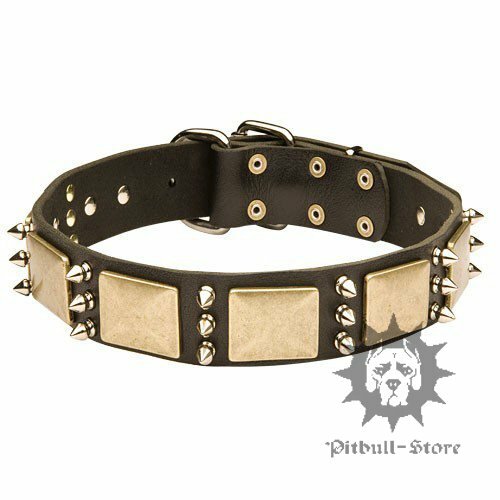 Designer Amstaff collar for trendy doggy! 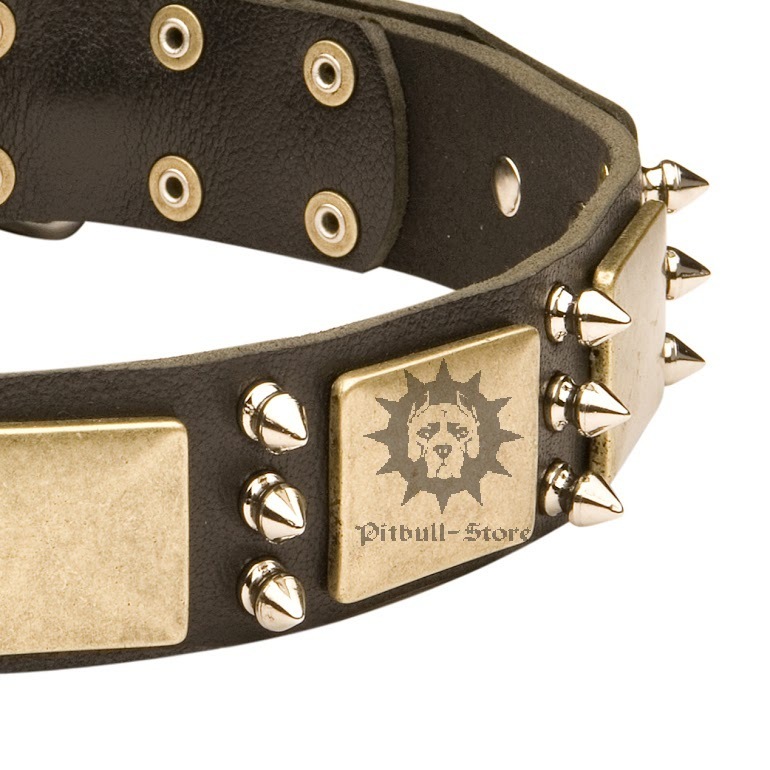 You`ll also like our sparkle dog collar decorated with spikes and studs. Find the best dog lead to match your new Amstaff collar!